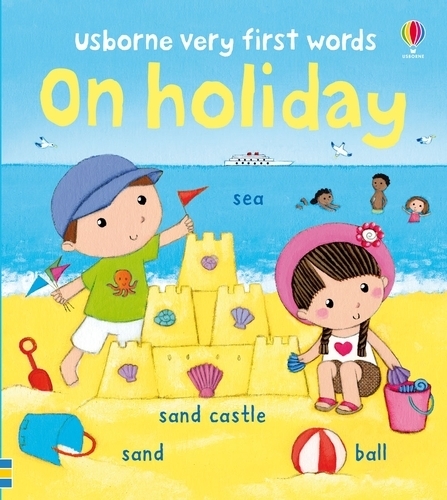 This is a charming and colourful picture wordbook of going on holiday, ideal for teaching babies and young children sixty holiday-related words. Enjoying the scenes and reading the simple labels encourages vocabulary building, talking and word recognition. Scenes include getting ready to go, at the campsite, on the beach, at the cafe and picnic time. This is a book perfect for sharing or for a child to sit with by themselves.